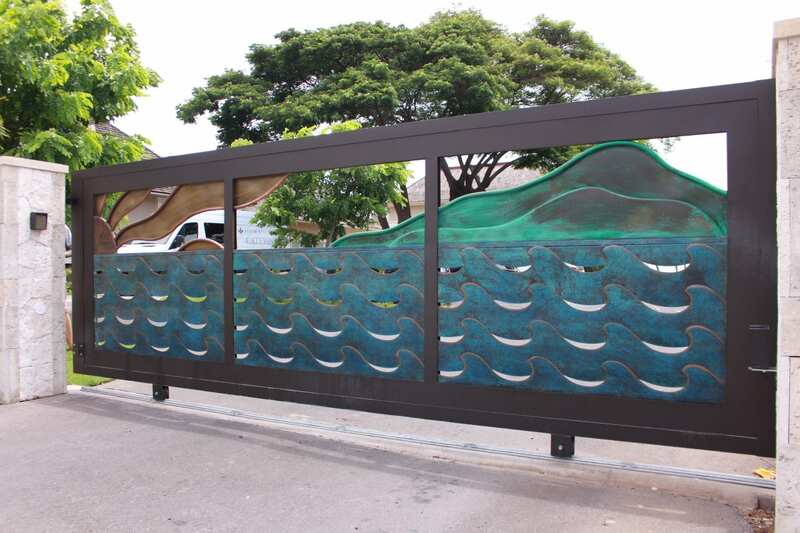 This week on our blog series “Featured Projects” we share with you a recently completed project located on the south shore of Maui. 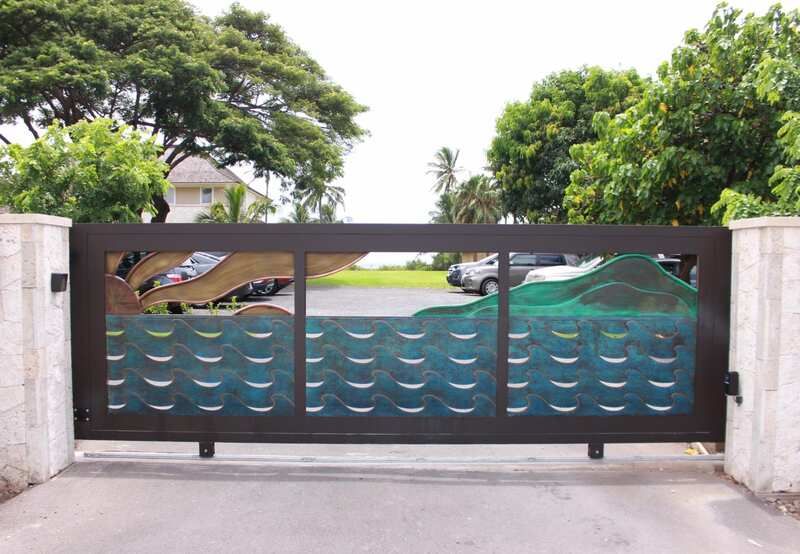 In association with Rixey Designs and Maui Powder Works Padilla Designs fabricated a stunning front entrance gate for a private ocean front home on the south shore of Maui. 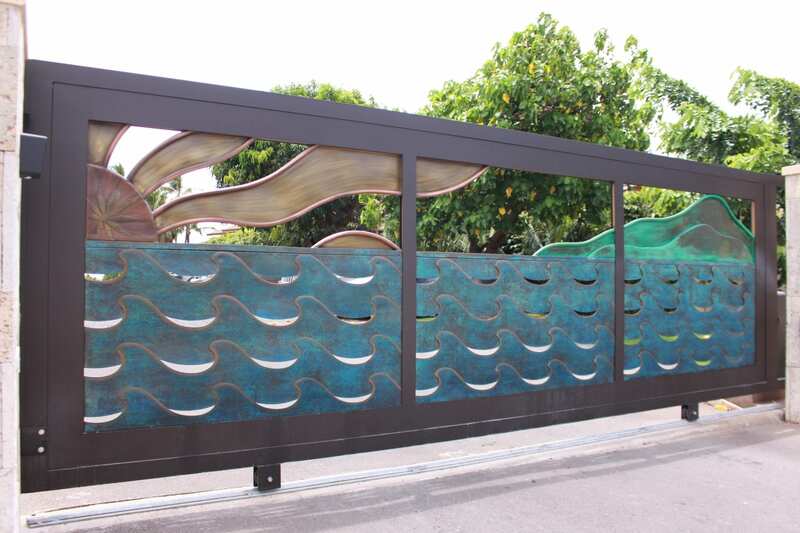 This project was a challenging concept that used multiple layers of different materials to create an abstract tropical sunset. 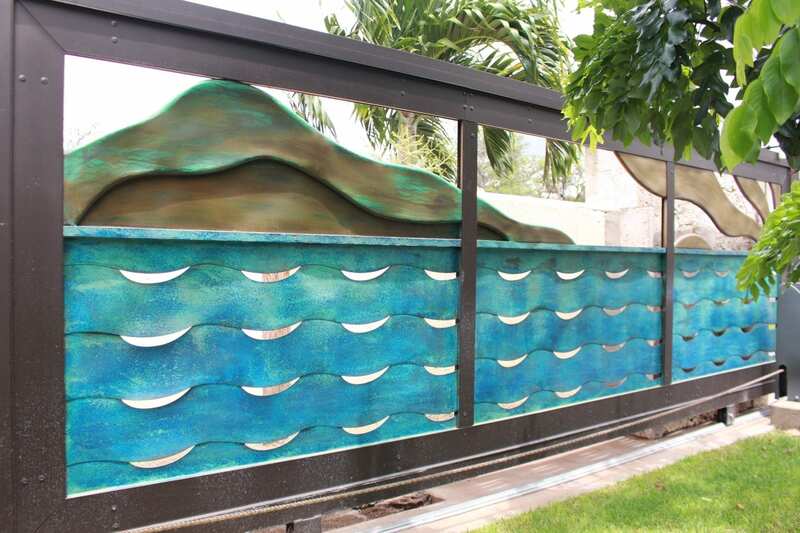 The framework is powder coated aluminum material, with brass sun rays and copper mountains and ocean waves. The living patina finish really comes alive with the diverse techniques. 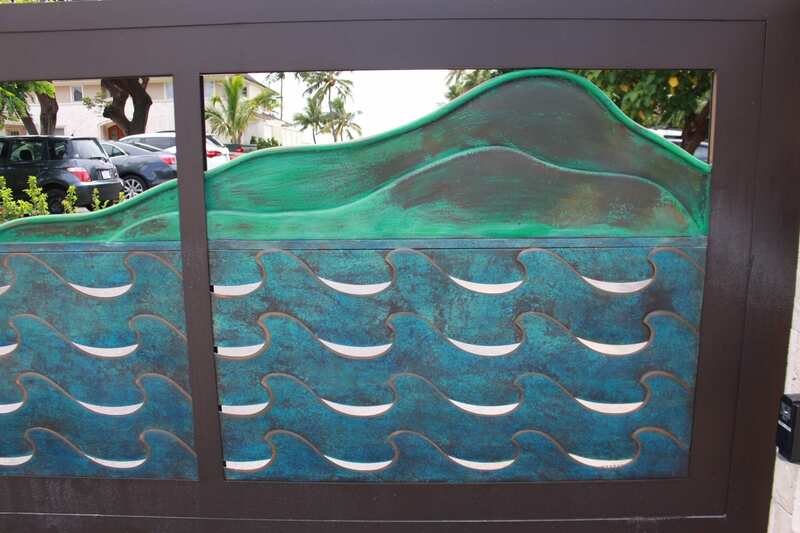 From the aquatic blue wash on the ocean currents to the oil rubbed bronze on the mountain range this patina finish adds an organic raw quality that is timeless by nature. The Hemp leaf in the center of the sun symbolizes the hemp insulation used in the construction of the home. The first on Maui to do so. Hemp is an amazing material to work with and can be used in many different ways for green building techniques. Take a look at the photos bellow and please visit the “In The Studio” version of this project to learn more on the production process. 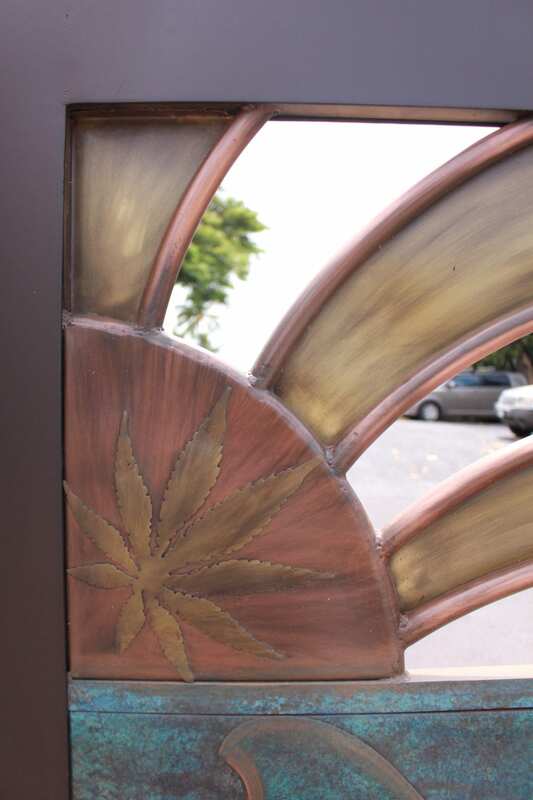 Close up of the Copper sun with the Hemp leaf in the center. 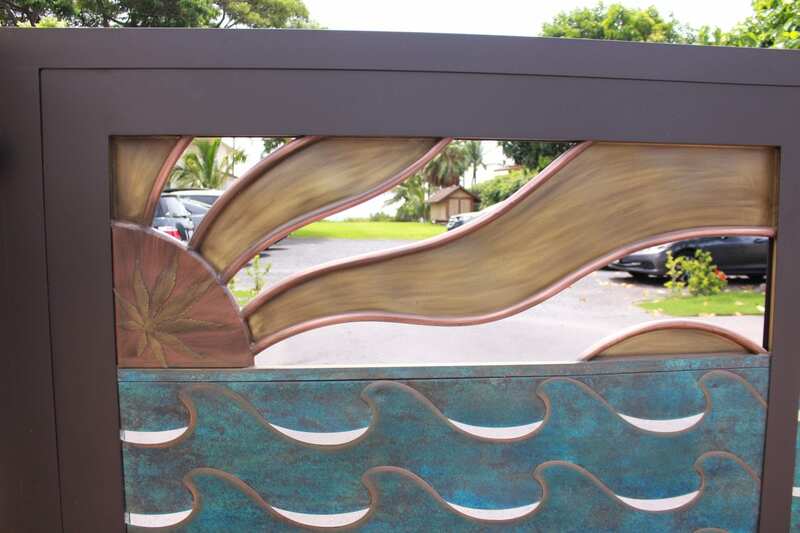 Close up view of Copper sun with Brass sun rays. 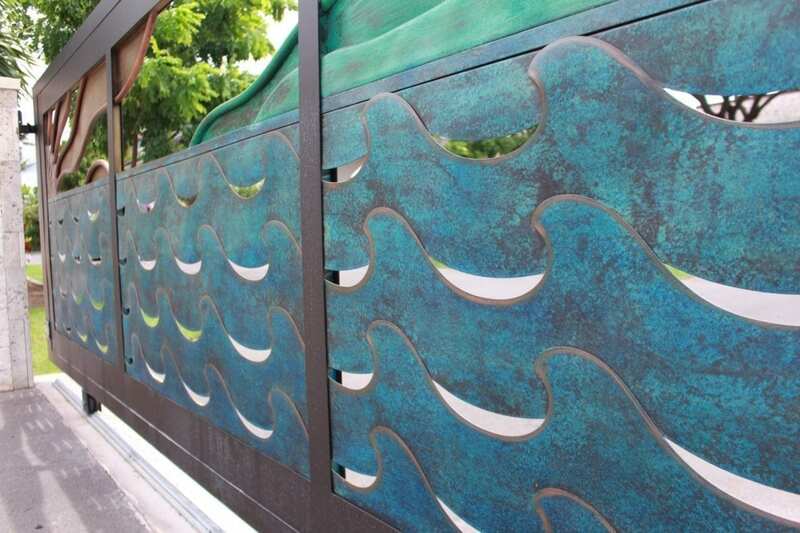 Close up of Copper Mountains with green patina finish. Want to explore other installments of “Featured Projects”? Check out the entire blog series here.